When kids show signs of readiness for learning the alphabet, it’s helpful to introduce them to letters in a hands-on way like we do with our ABC I Spy Games. Another one of the ways we like to teach the alphabet is to use letter mats. 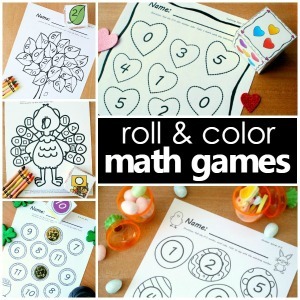 These printable mats can be used for a wide variety of activities. Some of the activities are for one-time use like creating process art and making collages. Other activities can be reused. These activities are very handy for busy teachers and moms teaching preschool at home. 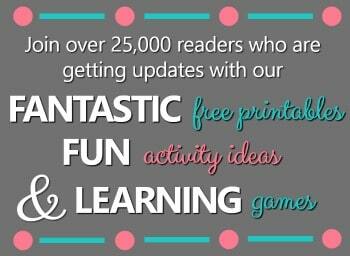 You can use them for learning centers, independent work time, quiet time bins and more. Let’s take a look at some of the ways you can use loose parts and letter mats to practice letter recognition. 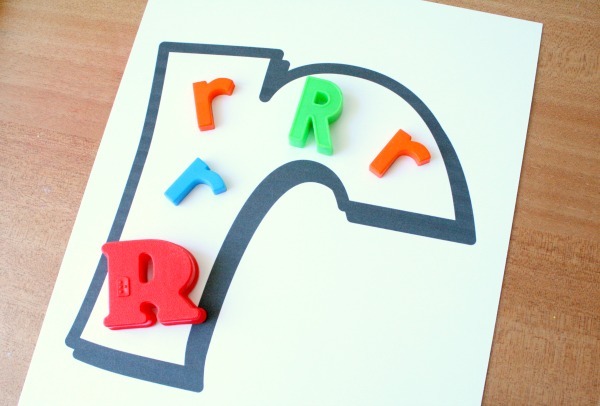 Before you get working with your letter mats I suggest laminating them or placing them in heavy duty sheet protectors. This will help you get more use out of them over time. It’s always great to use what you have on hand when possible. Most homes and classrooms have various blocks other building materials. These are great to use with alphabet mats. 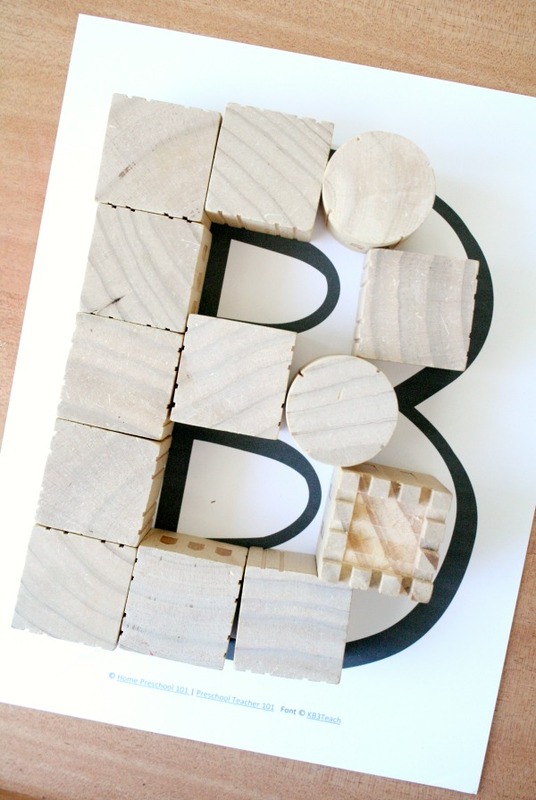 Here we’re using castle blocks to form letters. As kids work with them they are also doing a bit of problem solving as they see which blocks and which formations will best form the letter. 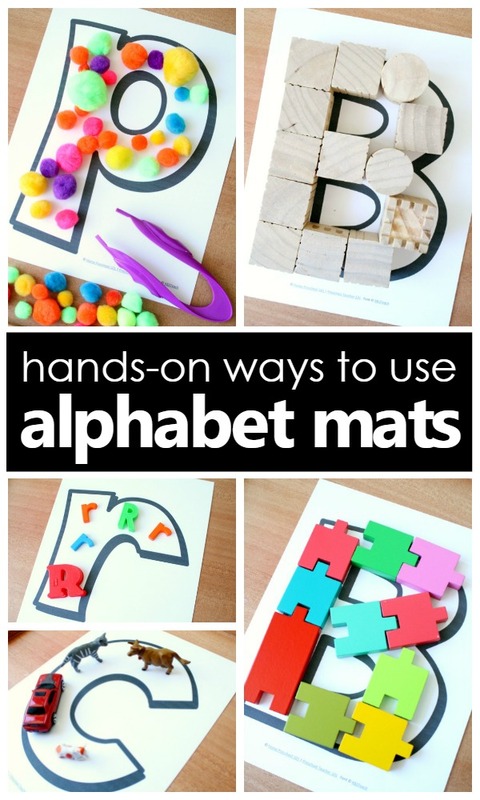 Set out a bin of magnetic letters next to a couple of alphabet mats and let kids sort them onto the appropriate mat. If kids are new to learning the alphabet limit the number of mats and the letter options included in the magnetic letter bin. However, as kids learn more letters they often like to sort larger bins with more mats. 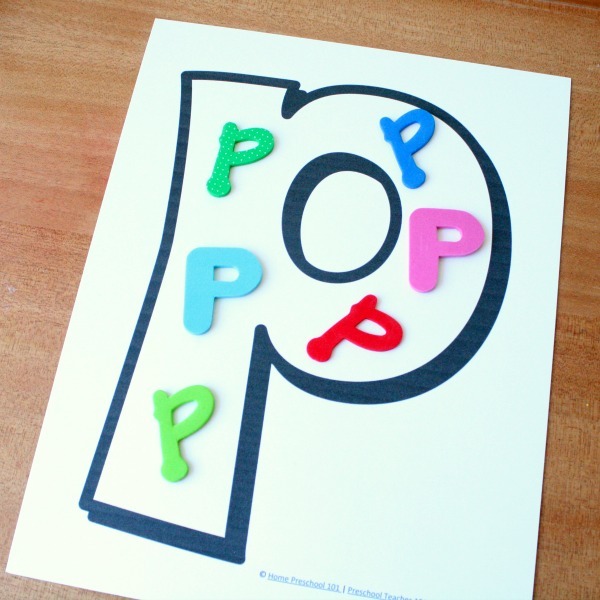 Like magnet letters, foam alphabet stickers can be another fun manipulative to sort. If you don’t have kids stick them on the mats, then you can use both the mats and the stickers over and over again. 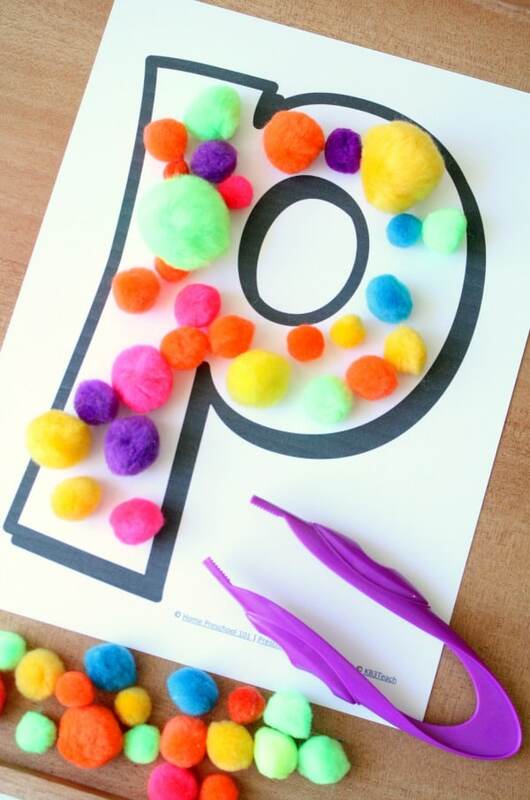 Kids love to touch and play with pom poms, so they are another ideal material to use with letter mats. Add in some additional fine motor practice by having kids use jumbo tweezers to place the pom poms. You can also use craft materials like glass gems and buttons. If you have a large collection of small toys like those from the Safari Ltd Toobs, then you can use them to work on letter sounds. 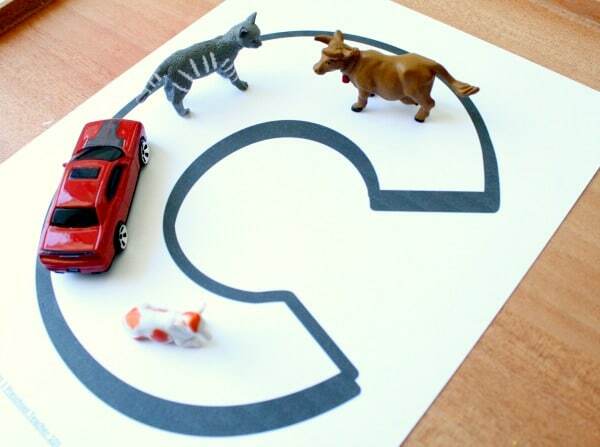 Place some small toys out with the alphabet mats and let kids find objects that start with the sound the letter represents. And you don’t have to stop there, you can also use things like play dough and dry erase markers with your letter mats. 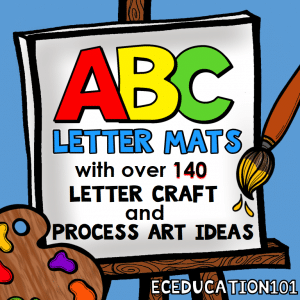 Take a look at the materials you have on hand already, you’ll probably come up with even more ideas for using your letter mats. If you do, add a comment. 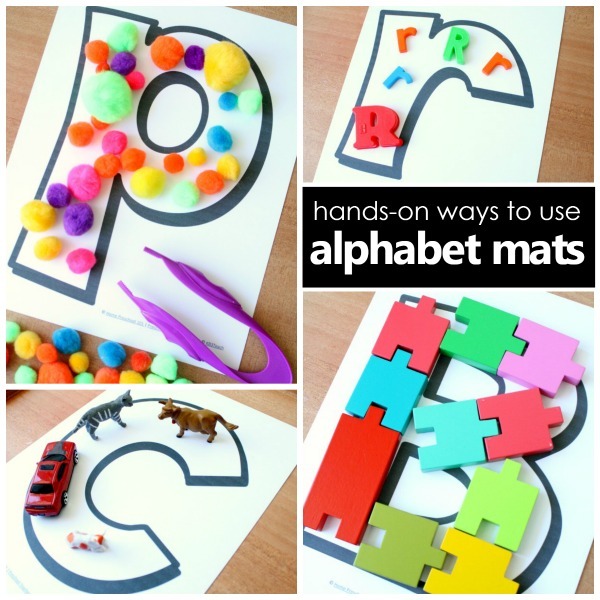 We’d love to hear about how you use alphabet mats to teacher letter recognition.